The UAE and Iraq have signed a memorandum of understanding (MoU) for cultural cooperation, with a landmark project in Mosul as a centrepiece of the agreement between the two countries. 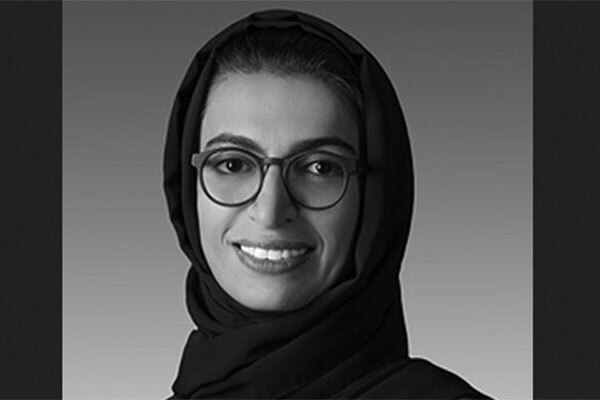 Noura Al Kaabi, UAE Minister of Culture and Knowledge Development, said that the reconstruction of heritage sites destroyed by the war is a key goal in building a stable and sustainable future for all Iraqis, reported Emirates news agency Wam. In a press conference held in Baghdad, Al Kaabi announced the launch of a project for the restoration and reconstruction project of one of Iraq’s most famous cultural sites, Al-Nuri Mosque and the Al-Hadba’ Minaret in Mosul, destroyed by Daesh in June 2017. The project includes the construction of a new memorial site with community and educational spaces to be open to the public. The UAE Ministry of Culture signed the MoU with the Ministry of Culture, Tourism and Antiquities in Baghdad, to renew a commitment to collaborate in vast areas of culture. Al Kaabi noted that the memorandum incorporates cooperation in cultural heritage preservation projects, including the restoration of historical monuments, the exchange of cultural experiences and information. She further elaborated that this memorandum will facilitate visits between culture officials, writers and intellectuals from both countries. The UAE also signed an agreement with Unesco to fund and support the reconstruction of the Al Nuri Mosque and Al Hadaba Minaret, and to build the necessary infrastructure for the project, rebuild the historical gardens, and a memorial site with community and educational spaces. The reconstruction and restoration historic Al Nouri mosque and AlHadba’ minaret of Mosul will continue over the course of five years and will be supervised by a joint committee including representatives of the Emirati and the Iraqi Ministries of Culture, Unesco, the Iraqi Sunni Endowment, the Organization of Islamic Cooperation and ICCROM Regional Office in Sharjah. The first year will witness the completion of studies and designs, in addition to the 5 year-long implementation mechanism and schedule, with a total project cost amounting to $50.4 million. Minister Al Kaabi stated that this project will ensure the development of surrounding areas socially, economically and culturally, in addition to the provision of 1000 employment opportunities in Mosul within the project, in addition to developing skills in restoration and cultural preservation for wider projects. She thanked Unesco for their major role in this project and its efforts in the protection of archaeology and human heritage. Following the signing of the Memorandum of Understanding, Minister Al Kaabi confirmed that it aims to lay the foundations of cooperation between both parties in the fields of culture and knowledge development related to archaeology, heritage, arts and libraries. It comes as an affirmation of the unity and authenticity of heritage roots, in addition to their common Arab identity and the role of culture and arts in promoting ties between both countries. Al Kaabi said the UAE wished the people of Iraq prosperity, peace and development and added that they are keen on building bridges with other brotherly Arab countries, especially Iraq whose rich culture played a central role in human history. She emphasized that this project does not only aim to protect heritage, but also means to stand against terrorism, support the economy of Iraq, provide employment opportunities, support sustainable development, and nurture values of tolerance, peace, and hope for the region.